From the sandy beaches of Tree Island to the shallow waters of the Puntledge River, the Comox Valley serves as the perfect playground for a variety of water sports. Kayaking is one such sport that provides an excellent way to exercise while exploring the hidden treasures of the shoreline. The word kayak means “hunters boat.” This name is fitting since kayaks were originally designed for the purpose of hunting animals on open water and inland lakes. While the purpose of kayaks has been lost with the ages, these boats have become increasingly popular in the world of recreation. The popularity of the modern day kayak is reflected by the vast array of models that are available. They come in all shapes and sizes. Each kayak is uniquely designed to match the rigors of its sport. There are small, sleek, lightweight kayaks for navigating white water rapids; there are long, wide, kayaks with watertight compartments for week long journeys along the oceanside; there are even kayaks in the form of racing shells for events like the Molakai Race in Hawaii. The purpose of this article is intended to introduce the reader to the sport of kayaking and all the essential information you should know before you take the plunge. If you are familiar with the “7 P’s of Kayak Safety,” then you are off to a good start. Partner: Kayaking alone is a big mistake! You never know what Mother Nature has in store for you. 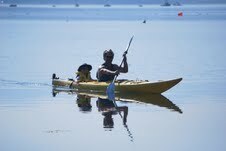 Always traveling with a paddling group or partner will minimize the possibility of an accident. If you want to get into the sport and you don’t have a paddling partner, you should contact a local kayak shop to check into clubs or group events. Patience: This virtue is essential for any individual that is new to a sport. It takes a little time to get comfortable with foot pedals, paddling technique, and the awkwardness of the boat. Patience will see you through to the end and allow you to open your eyes to a new world of exercise, fun, and exploration. Preparation: Kayaking is a sport unlike many others. There is a lot to think about before you even get into your boat, because once you are in, it might be a while until you can safely get out. Prior to beginning any sport, it is a smart idea to perform some sports specific conditioning. Anyone can walk off the streets and enjoy a day of kayaking; however, stretching and conditioning will help to minimize the possibility of injury or soreness. While kayaking is an activity that incorporates the majority of muscles in the body, certain muscles are placed under more stress than others. With this in mind, one should focus on developing flexibility of the neck, torso, and hamstrings while building strength in the muscles of the body core and upper back. Lateral bending – while sitting on the ground, bend to one side lowering a shoulder towards the ground. Repeat on the other side. Torso twists – sitting straight forward with your knees bent and your feet flat on the ground, twist your body as far as you can to the left, then repeat this to the right. Seat Races are an excellent compliment exercise. Ball squeezes – repeatedly squeezing a sponge/tennis ball in your hands is a great way to develop forearm strength for controlling the paddle on long trips. Hamstrings – on your back with one leg extended straight up, grab the back of your leg with both hands and pull it towards your head with steady pressure. Repeat on the other side. Shoulder rotations – put your arms straight out to your side at shoulder length. Rotate your arms making smaller to larger clockwise circles for 20-30 rotations. Repeat in the opposite direction. * all stretches should be held with mild tension for 30 seconds to 1 minute! Practice & Technique: Kayaking is a sport of endurance. Very few beginners naturally display good technique. It is not important to have good technique to enjoy kayaking, but it is important to develop it if you plan on kayaking often or if you plan on paddling for durations longer than one hour. Bad technique is a bad habit that will slow you down and lead you down the road to injury. Find a boat that suits your needs. If you are renting a boat then have a professional find a boat that fits your body dimensions, level of experience, and terrain you plan to explore. This is very important because you want your ride to be a comfortable one. Sit in the boat and adjust the foot pedals. They should be at a distance where your knees are bent enough to comfortably brace the sides of the boat. This is important for balance, power, and maneuverability. Proper technique dictates that you sit tall in the boat. Very little pressure should be placed on the back support. Proper breathing demands your head to be slightly forward of your shoulders. This allows your neck to easily rotate from side to side, which is important for periodic surveillance of the surrounding environment. When it comes to paddles, smaller lighter ones are the best place to start. To grip the paddle appropriately, grab it with both hands, lift it over your head and place it onto your head gently. Proper grip should leave your elbows bent at an angle slightly less than 90 degrees. Your drip guards should be 2 inches away from the outside of your hands. For the average kayaker, when paddling, the out of water paddle should never reach a height above the chin. The power generated with proper technique comes from a person’s torso. The boat is stabilized while the knees brace the sides of the cockpit, which allows the upper body to twist and generate long powerful strokes. To be effective, elbows must be held with little or no bend. A long powerful stroke requires the lead hand to reach the mid-line of the boat before the pull begins. If it is your first time kayaking and you find it quite easy, “you are probably doing it wrong.” As long as your maiden voyage is for only one hour or two, then don’t worry about it and enjoy yourself. Proper technique is something that has to be practiced. Leave an itinerary of your trip with a friend. That way if you do not arrive on time, help will be on its way. Check with the local weather station before you leave. If possible, paddle with a guide. Whether you are with a guide or not, you should always have an easy to access waterproof map on board with you. For longer trips it is wise to begin planning weeks in advance. That way you can periodically inspect your checklist for all your required items. This is the most important piece of equipment for any kayaker. It is crucial to have a life-vest that fits you and that you can comfortably paddle in, because it must be worn at all times! If you have to abandon your boat, as long as you are wearing your PFD, it is the only sure thing that will stay with you. Therefore, your PFD should be outfitted with equipment you need whether you are on or off your boat. This equipment should include items such as: snack, sunscreen, fastened whistle, fire-starter, sharp encased knife, pocket sized emergency blanket, and if possible a submersible VHF radio. To preserve the trim of the boat, heavier objects should be placed near the center of the boat with the lighter ones in the bow and stern. Particular items should be packed on the boat with a regard to need. Your first level of need is your PFD and its emergency contents – it should always be on you. Second, on your deck or in your cockpit should be an extra paddle, paddle float, tow-line, bilge pump, and water bottle. The third category encompasses things you store below the hatches that you can only access while out of the boat. These things should be arranged by necessity. For instance, camping gear should be the hardest item to get to as it is the last thing you need. Kayaking is an amazing sport as long as you follow the rules. Like all water sports there is an inherent risk of danger. If you pay attention to the weather conditions and never over estimate your abilities, a fun time can be had by all. 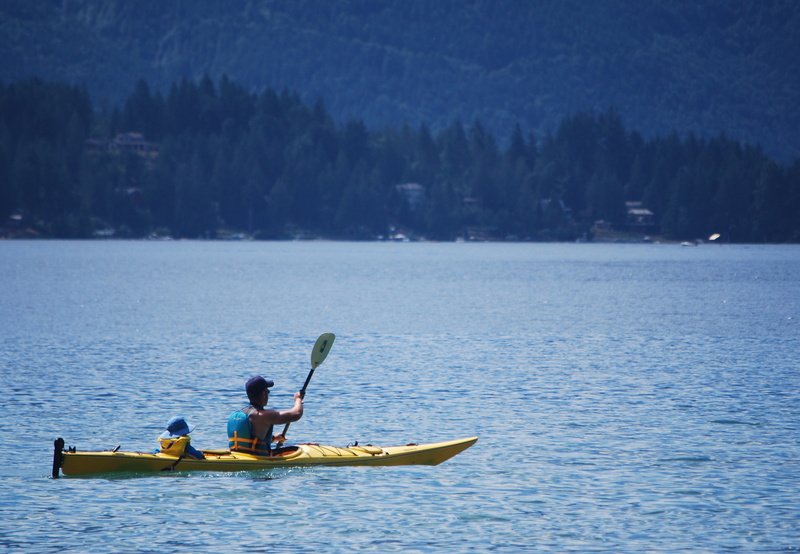 If you have any questions about kayaking, give the pros a call down at Comox Valley Kayaks. Personally, I have found them to be particularly helpful. If you have any questions about your body, give your Comox Chiropractor, Dr. Rick Houlgrave, a call. 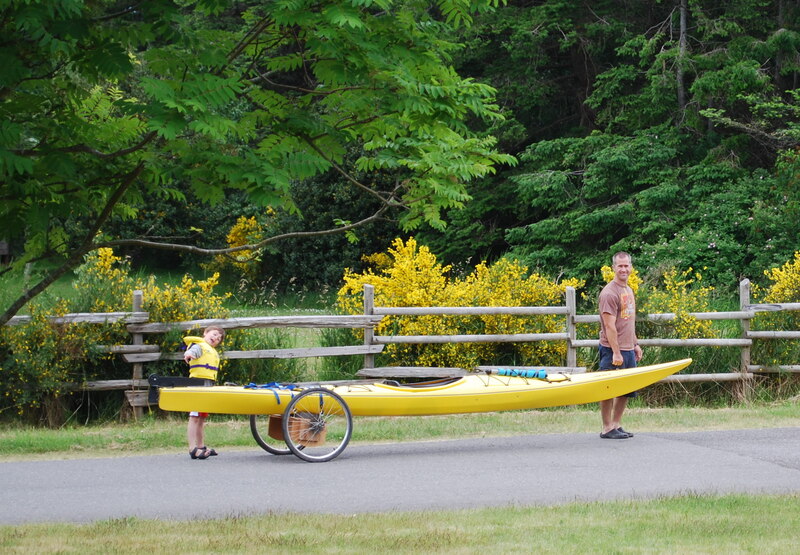 Together, they can help you enjoy your kayaking experience!